Ali Qapu, Chehl Sotoun &amp; Hasht Behesht, Isfahan, Iran. Front façade. Ali Qapu, Chehl Sotoun &amp; Hasht Behesht, Isfahan, Iran. 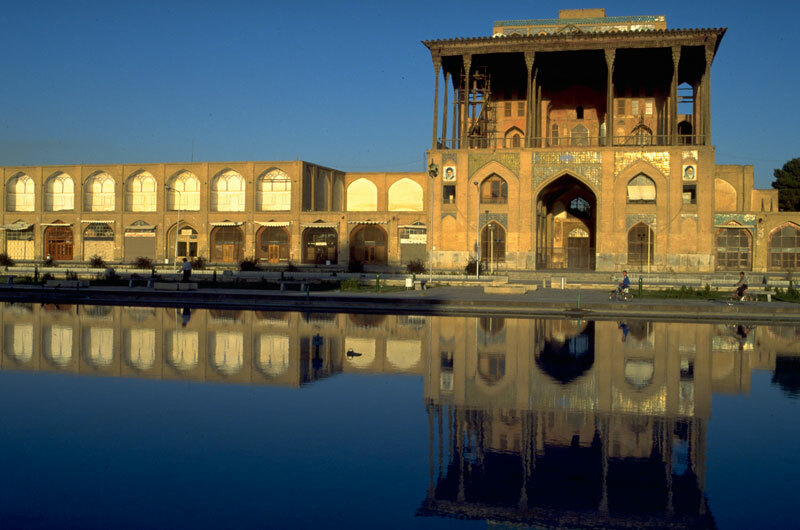 These three pavilions and their gardens are among the great Safavid monuments of Isfahan. 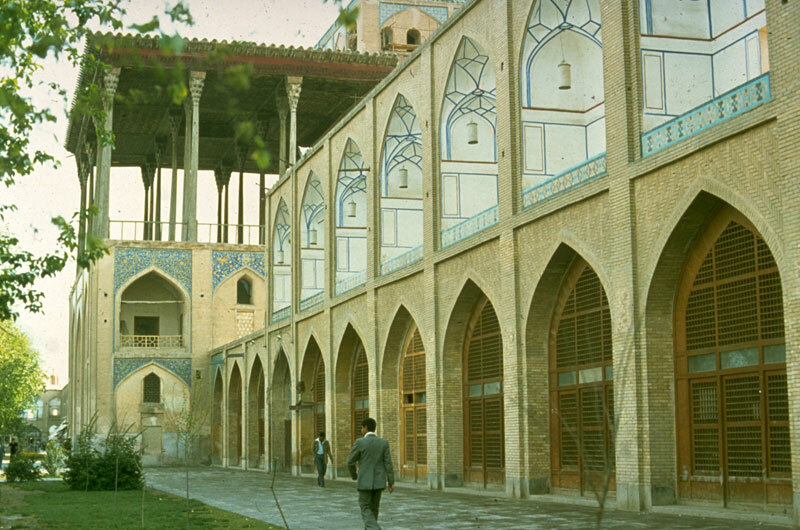 The Ali Qapu is the main entrance to the palace complex of the city. Its upper walls and vaults, of lacquered stucco and wood, have been carefully restored. 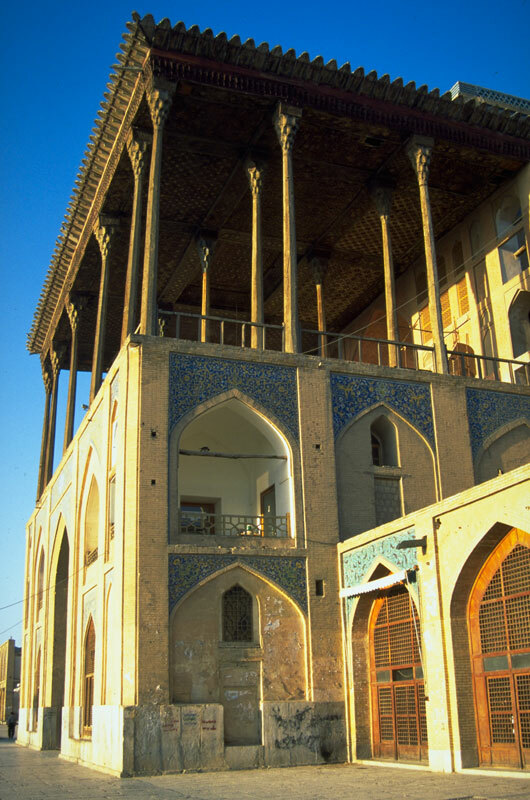 Hasht Behesht was structurally strengthened with concrete links and supports and its ceilings and wall decorations restored. As part of the extensive conservation and repair work on the Chehel Sutun, most of the great wooden columns of the large porch were removed from their bases, sawn in half and their central core hollowed out to receive and hide steel reinforcing rods.